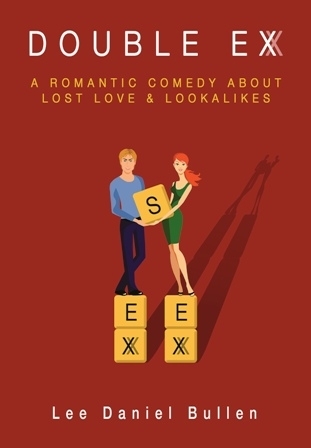 A fast-paced comedy by Lee Daniel Bullen about two heartbroken friends who pursue lookalikes of their exes but dramatically fall into a soul-stirring love affair. Nick and Lucy forge an unlikely alliance after they discover their craving for dead-ringers of lost loves and help each other meet eligible suitors on London’s dating scene. Trouble looms when friends and siblings grow concerned at their obsessive lust for chasing memories, and with problems mounting around their intensifying relationship they soon find their journey takes some heart-stopping turns. Nick’s best friend, Konrad, is nursing an aching heart of his own but befriends the beleaguered celebrity Corsica Coleman following a fateful encounter that would shape their very future. Together they launch a series of high-profile events that will halt plans to develop an area of London heathland, derail a tyrannical tycoon, and alter everyone’s lives beyond imagination. Double Ex is a must-read for anyone who loves a good romantic romp! Available paperback and eBook format from Amazon from August 22. Produced with news.CMS in 0,0615 seconds.